Ty Gregorak is leaving Montana State after three seasons as defensive coordinator. BILLINGS — Ty Gregorak’s tenure as Montana State’s defensive coordinator has come to an abrupt end, and coach Jeff Choate now must fill more vacancies on his coaching staff. Sources said the Bobcats met for a team meeting Tuesday night, during which Choate officially informed the players of the coaching shakeup. Gregorak spent the past three seasons with the Bobcats — after separate tenures on the defensive staff at rival Montana — while Orphey served at MSU the previous two years. Choate was not available for comment Tuesday night, though Gregorak issued a statement via text message. “I want to thank Jeff Choate and Montana State University for bringing me and my family to Bozeman three years ago. My family truly loves living in this community and it has been a privilege to work with the administration and Bobcat student-athletes to achieve our goals, whether they be on the football field, in the classroom, or in the community. “I have tremendous respect for coach Choate, his staff, the young men in the Bobcat football program, and Montana State University. I am grateful for the opportunity to have worked the last 15 years at two amazing universities in the great state of Montana. Attempts to reach Orphey have been unsuccessful. Multiple reports indicate Orphey is in line for a job at Utah State. Montana State has undergone broad coach shuffling over the last 2½ months. In October, Choate announced the midseason dismissal of quarterbacks coach Bob Cole, the reassignment of offensive coordinator Brian Armstrong and the promotion of wide receivers coach Matt Miller to the role of acting offensive coordinator and play-caller. In December, Choate confirmed that Miller’s move to offensive coordinator had been made permanent. Choate also said at that time that the process for replacing Cole was under way, and that he hoped to have someone hired not long after the first of the year. Meanwhile, Miller's title on MSU's roster is currently listed as offensive coordinator/quarterbacks and receivers/recruiting coordinator. Choate indicated in Tuesday’s release that he has begun the process of filling his defensive staff. Gregorak, 40, came to Montana State in a surprising move in December 2015, not long after Choate was named head coach. 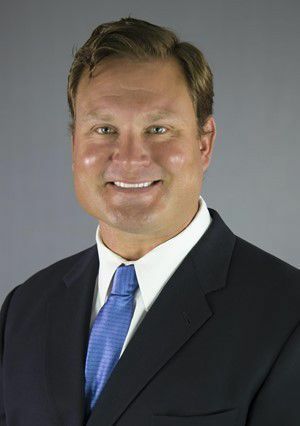 Gregorak, who played collegiately at the University of Colorado, previously served as the defensive coordinator at Montana, where he spent a total of 12 seasons on the Grizzlies’ staff. Yet he settled in quickly at MSU and helped reshape the Bobcats on the defensive side of the ball. In each of Gregorak’s three seasons in Bozeman, MSU ranked in the top five in the league in total defense. The Bobcats also beat the Grizzlies in three consecutive years, which they hadn't done since the mid-1980s. In 2018 the Bobcats ranked fourth in the Big Sky in total defense (409.2 ypg), tied for fourth in points allowed (28.5) and were plus-10 in turnover margin, good for No. 2 in the conference. MSU won eight games and made the postseason for the first time in four years, and prevailed in a playoff game for the first time since 2012, a 35-14 victory over Incarnate Word on Nov. 24. Montana State’s season ended in Fargo, North Dakota, on Dec. 1 in a 52-10 defeat to eventual FCS national champion North Dakota State. In November, edge defender Bryce Sterk was named second-team all-conference, as were nose guard Tucker Yates and end Tyrone Fa’anono. Linebacker Grant Collins was an honorable mention selection. Meanwhile, Orphey was hired at MSU in February 2017, replacing previous defensive backs coach Gerald Alexander, who had been hired away by Cal. Before joining the Bobcats, Orphey spent time as both a quality control coach and a graduate assistant at South Carolina. Orphey, 29, also served as the cornerbacks coach at FCS Texas Southern, his alma mater. He and secondary assistant Kyle Risinger mentored three all-conference defensive backs in 2018 — safeties Brayden Konkol and Jahque Alleyne and cornerback Greg Filer III were all named honorable mention. Alleyne, who previously played at Virginia Tech before joining MSU last summer, led the Big Sky with five interceptions last fall.